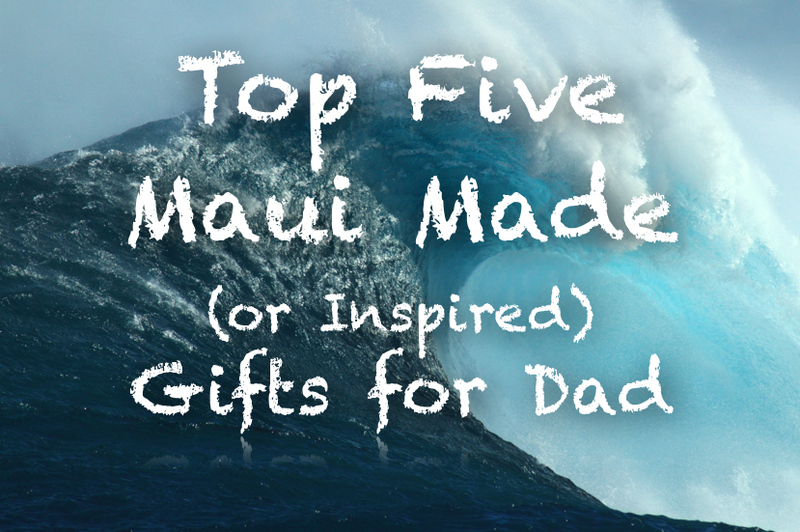 Here are the Top Five Gifts for Dad – all available on Maui or online! Dr. George Martin established his dermatology practice on Maui in 1989 and seeing the need for a sunscreen that would stand up to the harsh elements and extreme water time faced by the athletes on Maui (and around the world), spent over two decades researching and developing his Doc Martin’s Sunblock. The results represent some of the most significant advances in sunscreen technology in recent years. Even after hours in the water, it does not have to be re-applied, and it will not run into the eyes no matter how hard you sweat. And your Dad sweats. Keep him sunburn-free and help him reduce his chances of skin-cancer (yikes!) with this awesome (and inexpensive) gift! Doc Martin’s of Maui Next Gen Sunblock is sold online through Coco’s Closet and is available all over Maui at surf shops, and probably lots of other places too. I bet they even have it at his Dermatology office in Kihei on Lipoa. Let’s face it. Dads like beer. And what better way to show their love for their favorite Made on Maui beer and keep their hands cool at the same time, than an uber-manly leather can koozie. This koozie, which has the the Maui Brewing logo branded on both sides, is crafted from natural leather and hand-stitched in North Carolina. It’s slim, foldable and fits on most cans and some “fat” bottles. Keep Dad looking hot while he stays cool in this Maui Trucker Hat! Keep Dad cool in the hot Maui sun with this trucker hat with 3D embroidery, handmade by ‘Ryan’ on Maui. This hat’s available in three colors- blue, green or red, each with a nice ombre effect. They are available online or at the Maui Vintage store on Dickenson Street in Lahaina, or most Saturdays at the Swap Meet in Kahului. Bluesmiths, a Maui-based watersports clothing company, designs their gear to ‘stand up’ to Hawaii’s extreme conditions, and tests them thoroughly along Maui’s North Shore. Dad will love you forever if you get him this Sunset Orange Kanaha Shirt from Bluesmiths. Our Hydrophobic Ocean Shirts are the most technically advanced on the planet. With most ocean shirts when you get wet, you get cold. To solve this problem, we pioneered the use of NanoSphere® from Schoeller of Swizerland. It’s by far the most durable water repellent we can could find. We’re the only brand in the world to offer it on a knitted garment. NanoSphere® is also included with our award winning Spartan Ocean Shorts. It’s a real game-changer. The Bluesmiths garments, which include the Kanaha (longsleeve) for men and women, the Lane (shortsleeve), the Spartan (boardshorts), and the Kula (hoodie) are exclusively available online. 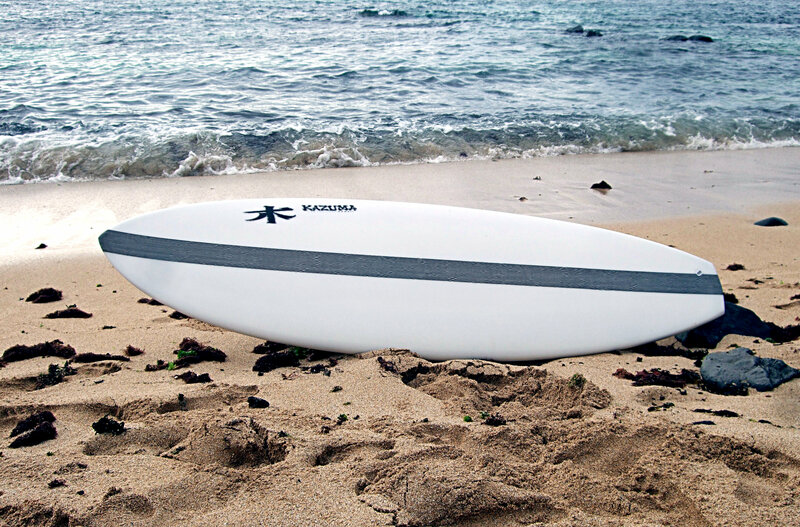 For over 25 years, Kazuma Surfboards has been manufacturing custom surfboards for the best surfers in the world. Their 10 expert craftsmen have over 135 years of combined board building experience and are the best in the business. Kazuma Surfboards is a true custom board company and every part of the manufacturing process is done in the Haiku, Maui factory under the strict control of Matt Kazuma Kinoshita himself. From a one of a kind shape to a custom paint design, your dad can have his new Kazuma built completely custom to his specification. Visit Matt Kinoshita at their Haiku factory, check out the boards at Hi-Tech Surf Sports, visit their website to see the list of dealers around the world, or just check out their online gallery and order your dad a custom board from Matt today!